First time ever…Fuel International is offering a very unique, ACTIVE trip to Israel this March! It’s not your typical Holy Land Tour. Engage with the people, the culture, and the politics! Gain a new perspective…a must for every Christian who wants to make world impact! Prepare to walk down the Via Del La Rosa, stand in the Garden Tomb, float in the Dead Sea, tour King David’s Court, visit The Shepherd’s Field in Bethlehem, and experience many other Biblical sites first hand! 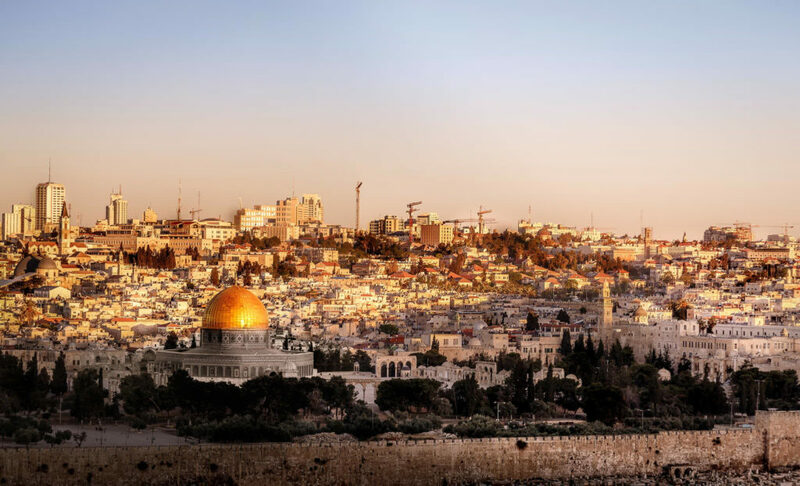 You will not only be visiting prime Biblical sites, but you will have the opportunity to experience the Jewish culture and political atmosphere. Prepare to meet with a Palestinian journalist who was with Yasser Arafat at Camp David, visit a persecuted church in Bethlehem in Palestinian territory, meet the man who oversaw the construction of the Palestinian Israeli wall, enjoy a BBQ with a Kibbutz community, eat a traditional Shabbat ceremonial meal in a Jewish family’s home, and much more! Arrive in Israel. Drive to Kibbutz Nachsholim Hotel situated along a beautiful sandy Mediterranean beach. Welcome Ceremony at Dor Beach. Overnight and dinner at the Nachsholim Hotel. Drive to the famous Caesarea to visit the ruins from the time of Herod the Great, Pontius Pilate, and many others – the ancient port, the Hippodrom, the palace where Paul was held in prison and the beautiful theater (still active!). Climb up the hill to Mount Carmel, the Battle Scene of Elijah versus the Prophets Baal (1 Kings 18). Continue to Biblical Meggido or Nazareth – viewpoint from Mt. Precipice (Luke 4) Overnight and dinner at the Vered Hagalil Hotel overlooking the Sea of Galilee. 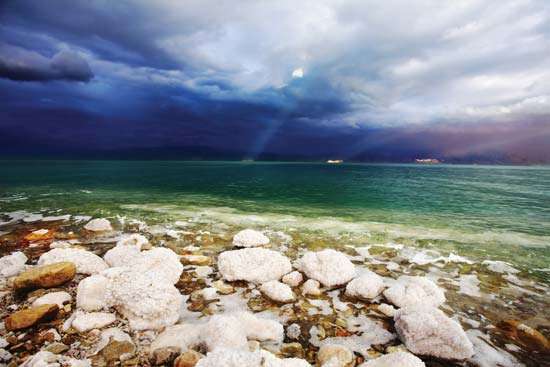 Explore major sites around the Sea of Galilee. Start at Magdala, hometown of Mary the Magdalene (Luke 8) and one of the newest excavations around the lake from the time of Jesus. Continue to the Mount of Beatitudes, site of the Sermon on the Mount (Matthew 5), then to Capernaum, Jesus’ town after fleeing Nazareth and where He performed so many of his miracles. End the day with an afternoon boat ride and baptism at the Jordan river. Overnight and dinner at the Vered Hagalil Hotel not far from Sea of Galilee. Drive to the northernmost parts of Israel. “From Dan to Beer Sheva” (2 Samuel 17) visit the Tel Dan Nature Reserve and hike it. Fast forward to Matthew 16, the Banias National Park, site of the City of Caesarea Philippi, built by one Herods’ sons, Phillip. Then climb up the Golan Heights to get an amazing view into Syria with Elliot Chodoff, a terror expert, who will analyze the situation with our northern neighbors. The Golan Heights has the famous “Road to Damascus” (Acts 9,22,26) going through it. End the day with a jeep tour (Amazing!). Meet with Israeli soldiers and enjoy home hospitality with an Israeli family in a Kabutz as a very unique experience, which will include dinner at their house. Overnight at the Vered Hagalil Hotel not far from sea of Galilee. Drive south and start between Tel Aviv and Jerusalem at the Ella Valley, site of David’s battle with Goliath (1 Samuel 17). Continue further uphill and arrive to Jerusalem, to the Mount of Olives. Visit the Garden of Gethsemane and then check in at the “Mamilla” 5-star hotel. Walk to the western wall for Shabbat, home hospitality for Shabbat. Overnight at the Mamilla Hotel in Jerusalem. Drive to Bethlehem for a visit with a Palestinian guide (as required by Israeli Law). Enjoy a shopping opportunity and visit Shepherds’ Field and the Basilica of the Nativity. Drive back to Jerusalem and visit the Israel Museum (a Must!) with the model of Jerusalem from Jesus’ time and the Shrine of the Book which exhibits the world famous Dead Sea Scrolls. Meet with a Palestinian reporter who will share with us the real story of the Palestinian authority. Overnight at the Mamilla Hotel in Jerusalem. Climb up Masada (round trip with the cable car) to visit the impressive Desert Fortress of Herod the Great. Backtrack to Qumeran (where they found the Dead Sea Scrolls) and swim at the Dead Sea. Optional if time permits, stop at Ein Gedi, where David was hiding from King Saul (1 Samuel 24). Overnight at the Mamilla Hotel in Jerusalem. Explore some of the most famous Holy Sites in the world. Start at the City of David (2 Samuel 5), fast forward to the southern steps of Temple Mount (Acts 2). Assuming the circumstances will allow it, climb up the Temple Mount, where all the Jewish Temples were. Visit the Jewish Quarter, Via Dolorosa, Church of Holy Sepulcher, Traditional Site of Jesus’ Crucifixion, and end this very special day with a Garden Tomb communion. Overnight at the Mamilla Hotel in Jerusalem. Morning tour with an ex-colonel who built the security fence with the Palestinians. It’s time to leave CNN aside and get the real deal! Visit the Holocaust Museum – Yad Vashem. Overnight at the Mamilla Hotel in Jerusalem. Visit Israel’s vibrant economic capital, starting at the 4000-year Old Jaffa. One of the most significant events in modern times started at the Israeli Independence Hall where the Declaration of Independence of the Jewish Nation took place. Free time at the Tel Aviv market and, time permitting, beach time and drive back to Jerusalem. Overnight at the Mamilla Hotel in Jerusalem. Debrief. Have a question? Just ask….